The Seltino Hafcin filter is designed to be mounted inside Samsung refrigerators and can be used instead of a DA29-00020B or HAFCIN/EXP filters. The Seltino External external filter is designed to be mounted on the water hose. The Seltino Hafin filter is designed to be mounted inside Samsung refrigerators and can be used instead of a Hafin2/EXP filter. 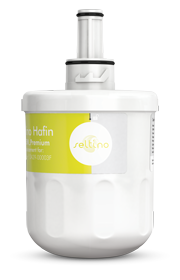 The Seltino Hafex external filter is designed to be mounted on the water hose. 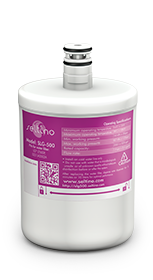 The Seltino Amico external filter is designed to be mounted on the water hose. The Seltino SLG-2012 external filter is designed to be mounted on the water hose. 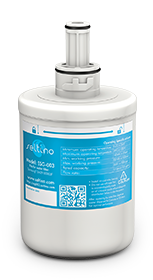 The Seltino SSG-003 filter is designed to be mounted inside Samsung refrigerators and can be used instead of a Hafin2/EXP filter. Replace the old filter with a new higher quality one. You'll know it was the best choice as soon as you hold it in your hand. Replace the old filter with a new higher quality one that will meet your needs. You'll know it was the best choice as soon as you hold it in your hand. The Seltino SWP-508 filter is designed to be mounted inside Whirlpool refrigerators and can be used instead of a filter with the following number: SBS002, 4396508. This filter is generally mounted under the doors of your side by side refrigerator. Seltino SBH-Ultra is the ideal solution for all users of Bosch and Siemens refrigerators. Our filter is an excellent alternative to the original UltraClarity filters.